Oil prices rebounded in Asia today on bargain-hunting on the last trading day of 2015 following a sharp decline fuelled by an unexpected rise in US commercial stockpiles. The inventories, a gauge of demand in the world's top oil consumer, are stuck near record levels and are up 26.5% from a year ago. US benchmark West Texas Intermediate (WTI) for delivery in February edged up 15 cents to $36.75 and Brent added 22 cents to $36.68 by around 0800 IST. Both contracts slumped more than three% on the US data yesterday. WTI has lost 31% and Brent 36% of its value this year. In 2014, WTI lost 46% and Brent 48%. "Thursday's price rise comes from short-covering and consolidation after the steep decline on Wednesday," said Daniel Ang, an analyst with Phillip Futures in Singapore. 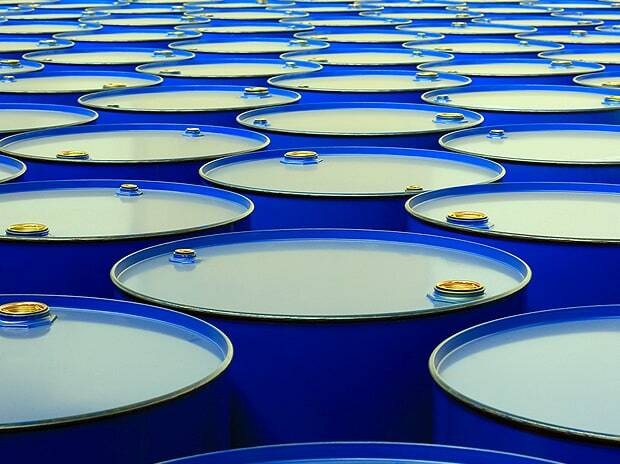 "I think the renewed decline in oil could affect sentiment over energy stocks in Asia today, although we are likely to see very low volumes on the last trading day of the year," said Bernard Aw, market strategist at IG Markets in Singapore. "I feel we are going to see a very quiet Asia." Iran is also expected to ramp up its oil exports after Western sanctions are lifted next year as part of a deal reached in July to curb Tehran's nuclear programme, further exacerbating the supply and demand imbalance. Sanjeev Gupta, head of the Asia oil and gas practice at professional services firm EY, said "a host of economic data due from the US, including the closely watched unemployment rate, and China will set the tone for crude oil prices for the first trading week of 2016".